Choir Club Trip to the O2 for Young Voices 2017 Concert. On Monday 16th January 2017 our Choir Club went to the O2 Arena in London to perform at the Young Voices Concert 2017. Our children joined thousands of other children, singing in harmony with accompaniment from a wide range of musicians and artists, to create an amazing performance for their friends and family. 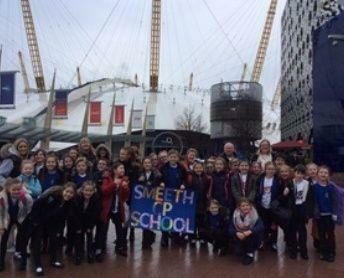 It was a fantastic day for everyone involved and an amazing experience for our children to have performed at the O2 Arena. A big thank you to all parents who came along to support the children in the evening and a special thank you to Mrs Hobby for all her hard work at Choir Club to allow our School to take part.